My name is Julia and I am the Editor and Founder of Mother-Top.com. I am a loving mom of two daughters and a caring auntie for 11 nephews. Glad to see you here! More information about me: I graduated from university with a degree in physiology in 1999. For more than 10 years I worked in the department of water quality control and its impact on human health. Since 2009 I started to study Ayurveda and Vedic culture. I attended multiple courses such as “Traditional systems of recovery: Ayurvedic medicine”, “Ayurvedic medicine: Panchakarma”, “Basics of Marma-Vidya”, etc. I am a consultant on Ayurveda and a healthy lifestyle, and I also conduct a Vedapulse diagnostics, which is an all-in-one solution for any alternative medicine practice. 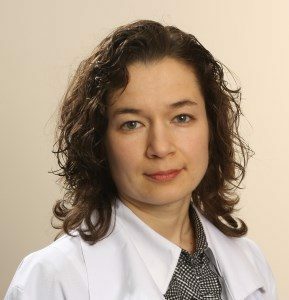 I am an advisory board member of the National Ayurvedic Medical Association (Ru) and body care and maternity specialist of the Siberian Ayurvedic Medicine Association team. “Correction of the most common health conditions using Ayurvedic products”, etc. Why I started this project? I believe that being a mother is the most important and challenging job a woman can do in life. And being a mother – or preparing to be a mother – requires plenty of knowledge about different processes in our body, about woman’s and baby’s health. what can I do to help my baby grow up healthy and happy? what can I do to be a healthy and happy mom? In a way, every single article on this blog is an answer to one of these questions (and sometimes to both of them as happiness and health are closely related). To begin with, I’ve tried to take only the things that are truly important. Also, I organized them in a way that made them easier to read and understand. After all, to me, a source of practical information is good if you spend little time reading but learn a lot of information to change your life for the better. If you want to ask me a question or share interesting facts or tips about pregnancy and motherhood you are always welcome!